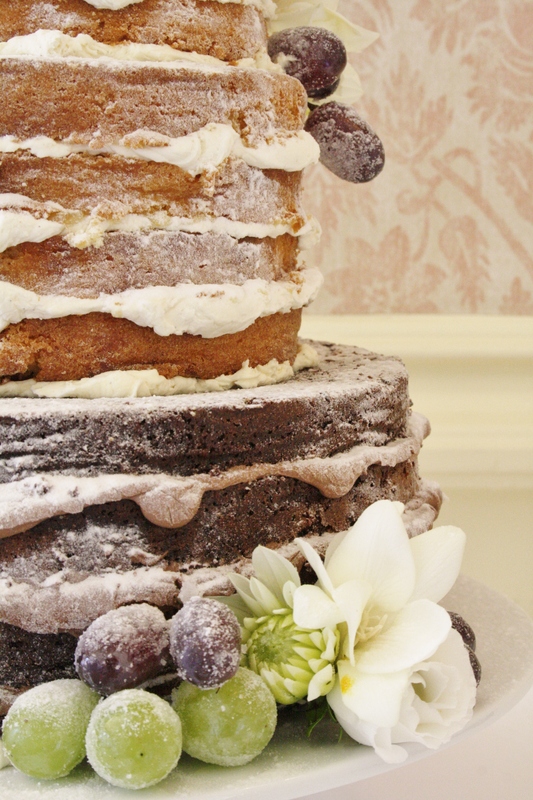 Three tier “naked” style wedding cake at Horsted Place, Uckfield, East Sussex. Base tier of Belgian Couverture Chocolate sponge with whipped Belgian couverture chocolate ganache filling, tier one of fresh Lemon zest sponge with whipped Lemoncurd buttercream and tier two of Vanilla Sponge with whipped Madagascan Vanilla Bean paste buttercream and Raspberry Conserve. 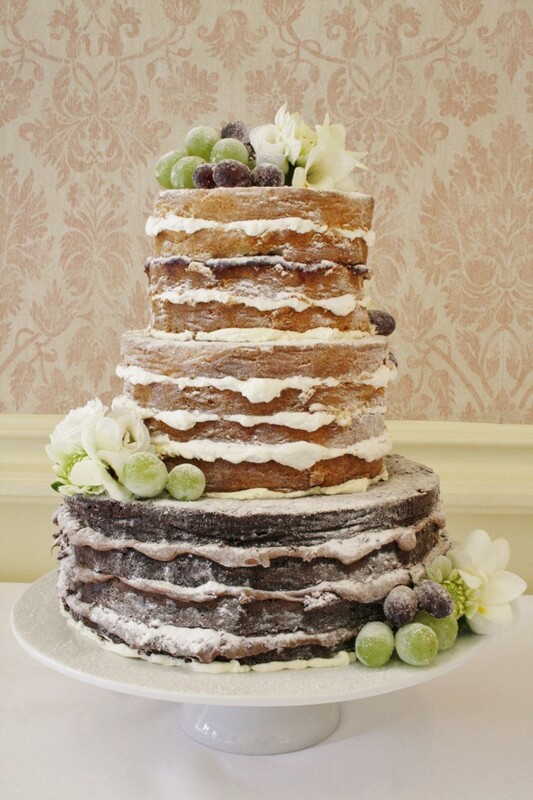 Decorated with fresh frosted grapes and floral sprays from Flowercraft Lindfield. Cake serves 160 finger portions.